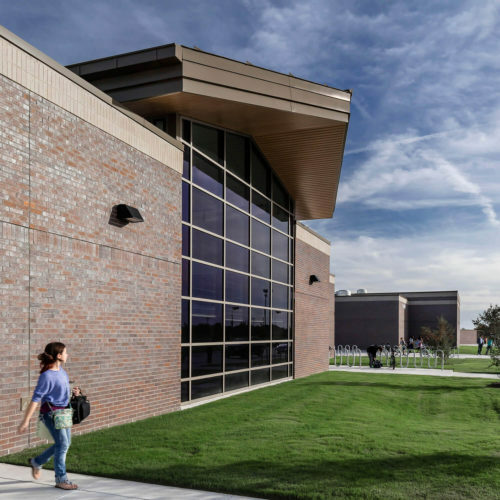 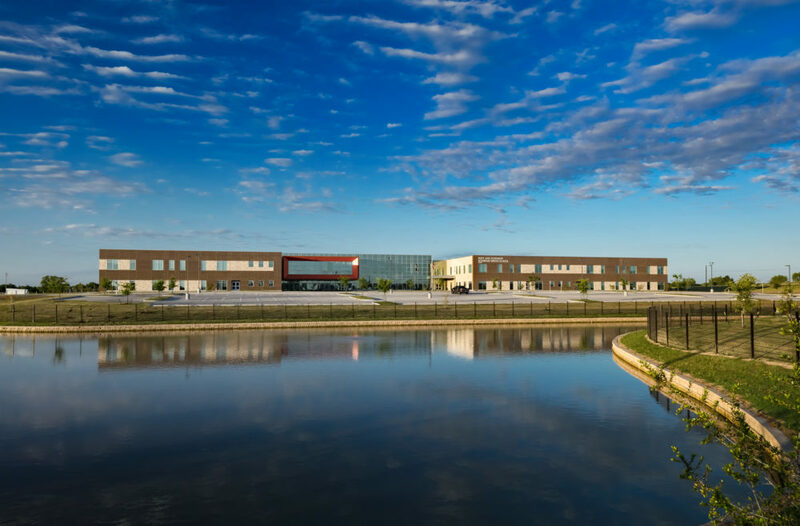 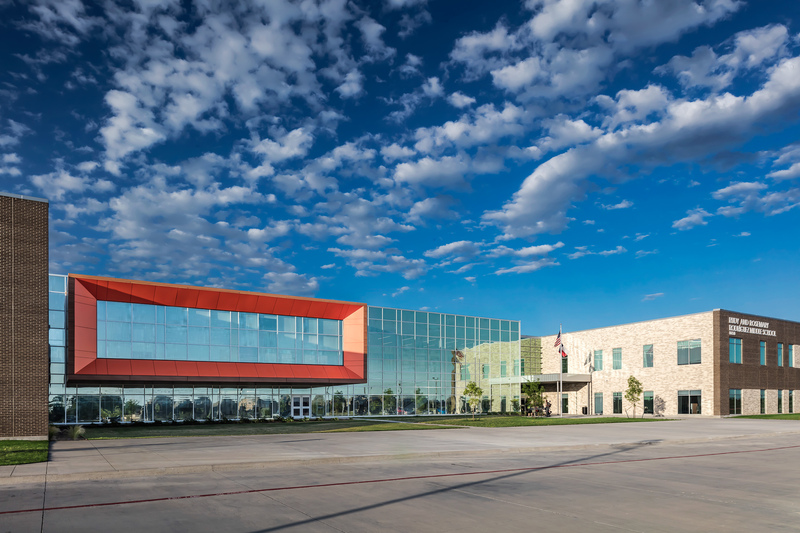 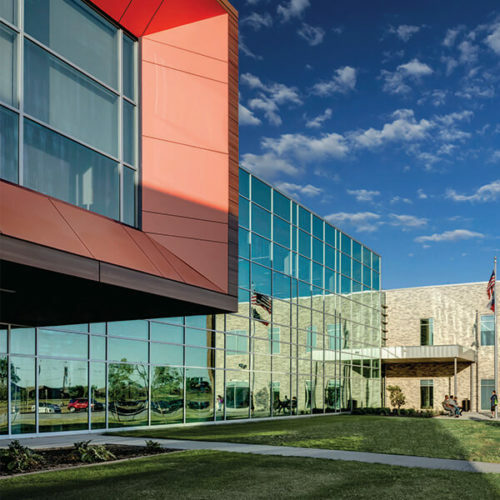 Rodriguez Middle School consists of the new construction of approximately 160,000 square feet designed to accommodate 1,000 sixth through eighth grade students. 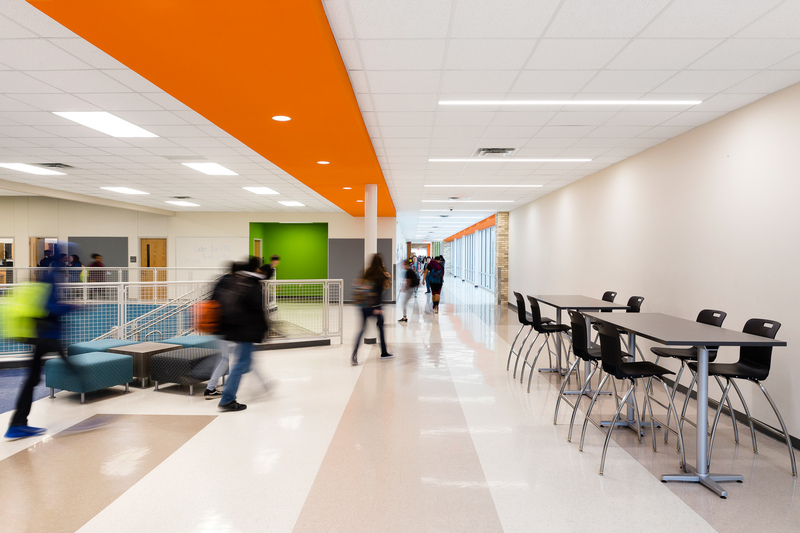 Each grade level is separated into its own classroom wings. 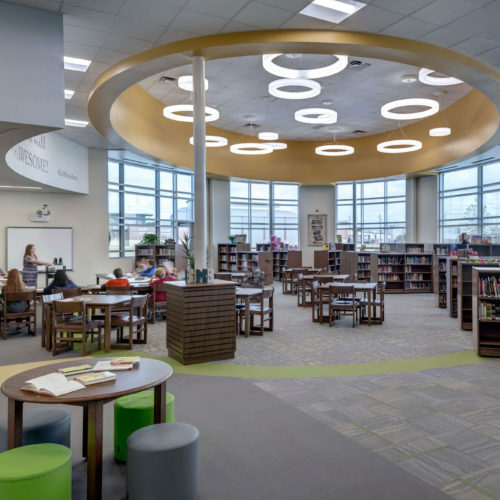 These self-contained classroom neighborhoods include flexible collaboration spaces and multiple outdoor learning environments. 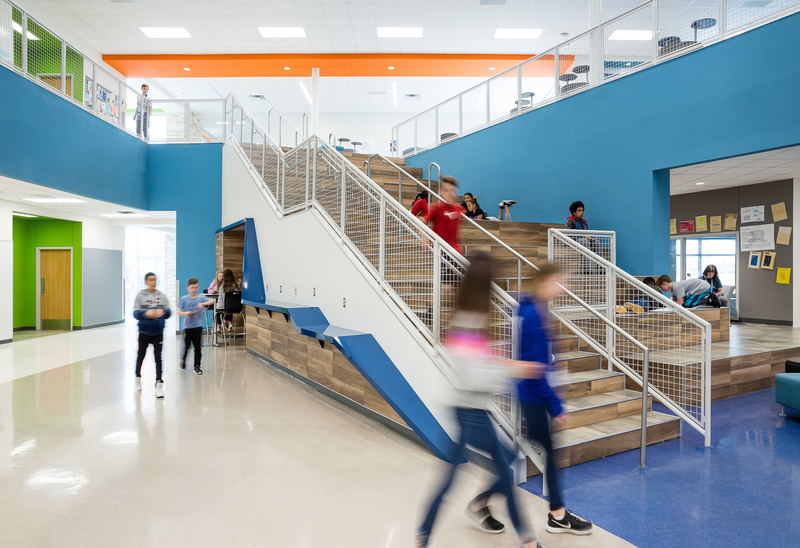 Each classroom wing includes a “learning stair” that connects the first and second floors and can be used for small group collaboration, lecture seating or a study area. 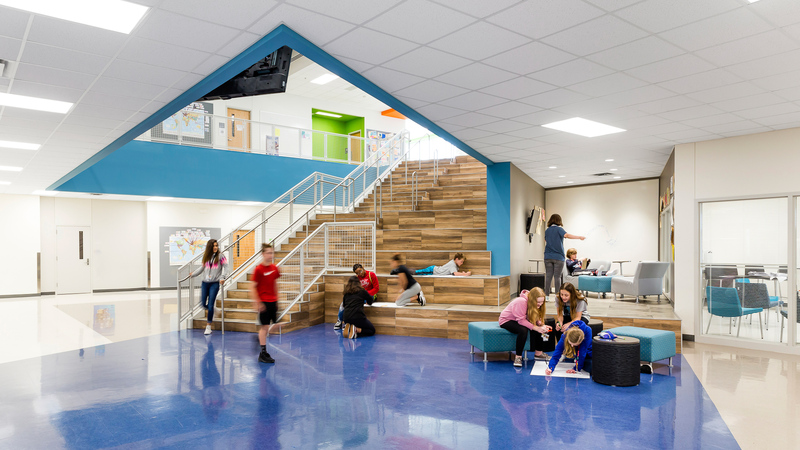 All classrooms surrounding the stairs have glass windows, in order for teachers to have more visibility to see students as they work in the space. 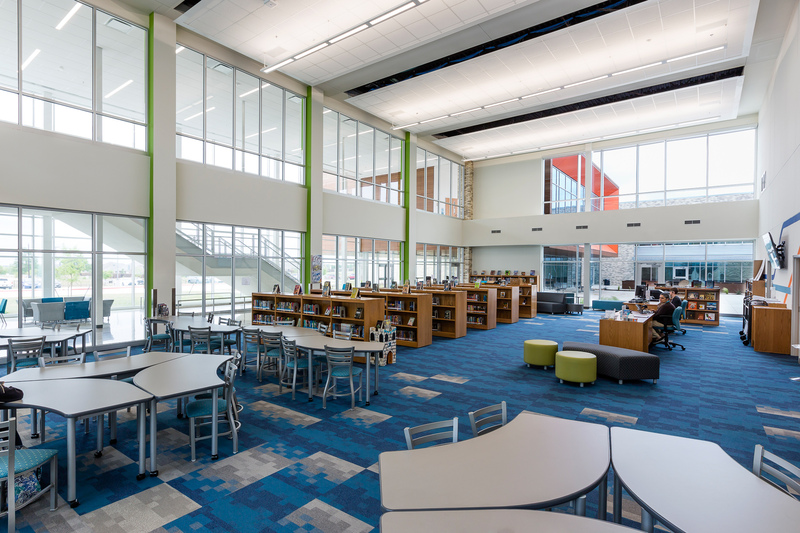 At the center of the floor plan is a learning hub, which houses the library and learning labs. 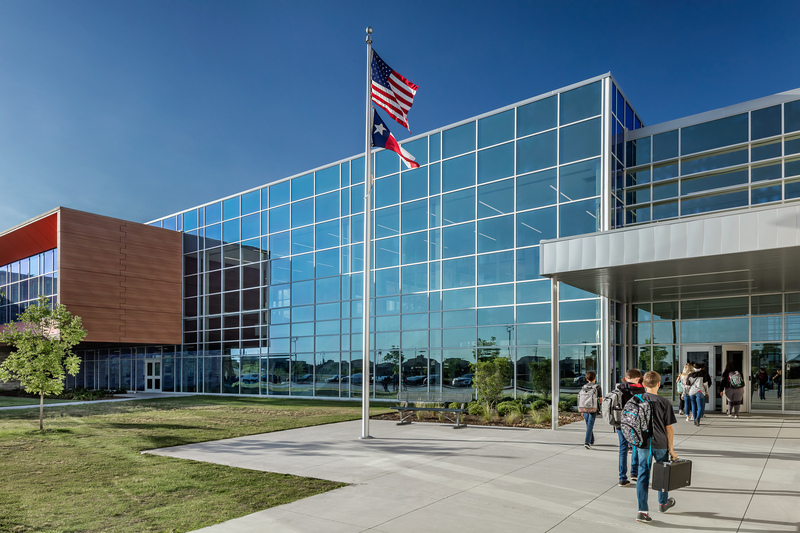 The second floor has special education and career and technology education classrooms, along with other learning labs. 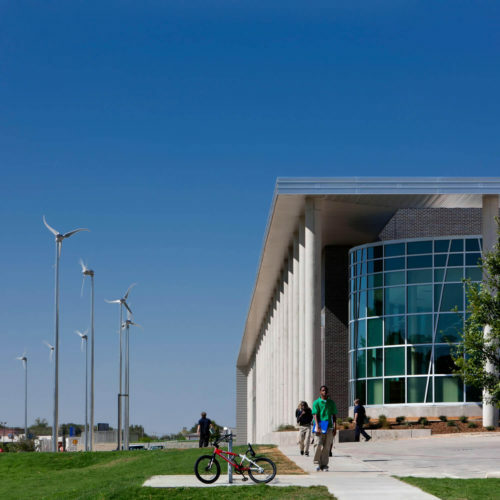 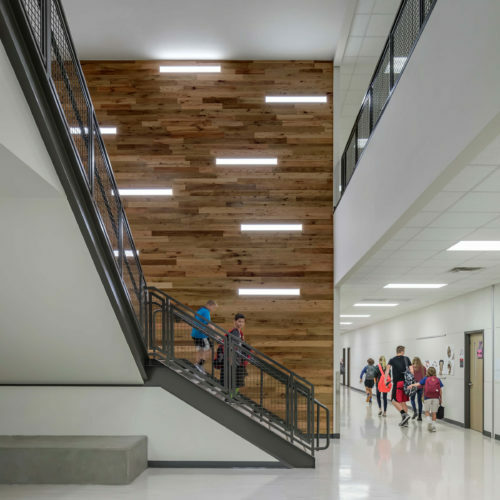 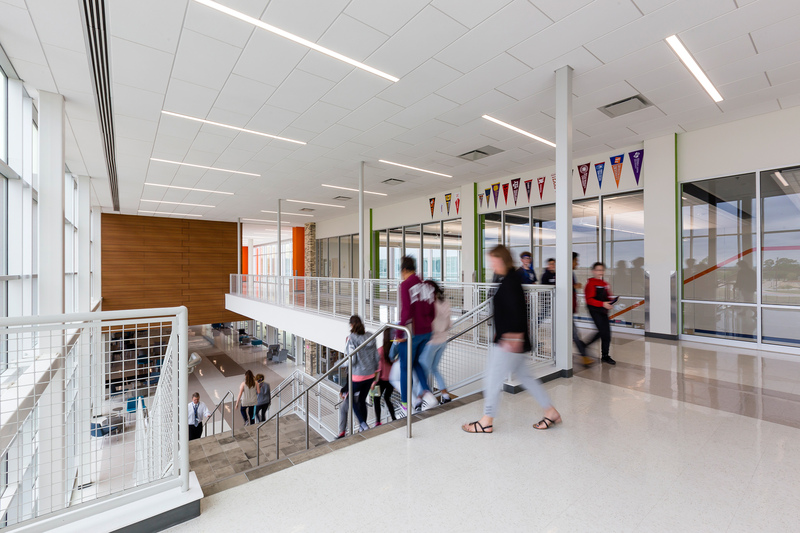 Additionally, the school design includes administrative and counseling offices, two internal courtyards — designated for sciences, outdoor eating and performing arts use — a cafeteria, fine arts spaces and a competition and practice gymnasium.